October 1st, 2017 will forever live as one of the darkest moments not only in Las Vegas but throughout all of the United States. As we approach the one year anniversary of the terrible evening which saw gunman Stephen Paddock set up a sniper like set up in his 32nd floor hotel suite at the Mandalay Bay and take aim at the spectators attending the Route 91 Harvest Festival, this post we will discuss the recent actions MGM Resorts' legal team has employed to battle the thousands of lawsuits being filed against them as owners of the Mandalay Bay. Just over a month ago, MGM cited an obscure law to file a motion dismissing the lawsuits due to the SAFETY Act. MGM's legal team has since filed suit in all states where either shooting survivors or relatives of the deceased actively engaged or even threatened ligation against MGM, including Alaska, New York, California, Texas, Florida, Arizona, Utah and Nevada. Prior to addressing whether the suit has merit, a good place to start is understanding what the SAFETY Act is and whether it even applies in the circumstances surrounding the attack. The SAFTEY Act is an abbreviation for the Support Anti-Terrorism by Fostering Effective Technologies Act that was passed in 2002, post the 9-11 tragedy in New York. What the SAFTEY Act does is offer a form of protection to companies that comply with multiple criteria designated by the Department of Homeland Security. Receiving this designation allows companies the ability to market this achievement in regard to the security services it offers. This has some merit in the route 91 shooting at Mandalay Bay since the company, Contemporary Services Corporation (https://csc-usa.com/) in charge of crowd management at the festival were awarded this designation prior to the event; in fact, they were the first crowd management company to receive this award from the Department of Homeland Security. According to legal firm Venable, LLP, “the purpose of the SAFETY Act was to encourage the development and deployment of anti-terrorism products and services (collectively referred to by the statute and herein as “technologies”) by granting various risk management protections.” Most importantly, this could cap the third-party liability and non-economic damages of those with the designation in some avenues. However, the big question is, does this limit MGM Resort's exposure to the mass shooting victims and their relatives? The better question is if it even applies in the first place. The reality is that the security employed at the Route 91 Festival event and Mandalay Bay hotel and casino security are two separate entities, who were both unfortunately actors present during the rampage of Stephen Paddock's senseless act. 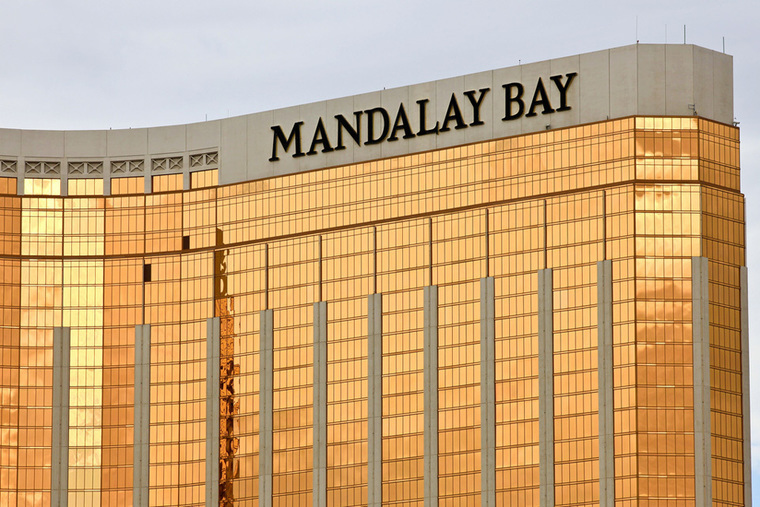 MGM Resorts nor Mandalay Bay and its security procedures never obtained the protections offered by the SAFTEY Act, however they are filing suit against the victims under the protections provided by the act. The events that led up to and included the mass shooting happened over the course of three days in which the gunman had no interaction with the Contemporary Services Corporation, but Mandalay Bay staff and security, yet MGM Resorts chooses to stand by the protections awarded the firm in control of crowd management at the event? Stephen Paddock was a well-known gambler at the Casino and entered his suite on September 28th, three days before the tragic evening occurred. During that time, it is alleged that Mr. Paddock smuggled approximately 23 guns to his 32nd floor and in fact used the service elevator to accomplish this. Furthermore, his hotel room was not checked for three days and evenings prior to the shooting. Mogul Steve Wynn, a prominent owner of several nearby hotels and casinos including Wynn Resorts, the Mirage and Bellagio, issued comments following the shooting that no patron at any of his establishments can go longer then 12 hours with a do-not-disturb sign without some form of investigation following suit. This seems like common sense for a hotel proprietor; not necessarily in relation to the dire circumstances that played out on October 1st, but due to countless other potential illegal activities or even accidents that may occur over time in a Las Vegas hotel room. There are additional red flags and other circumstances that point to unsatisfactory security standards at the Mandalay Bay, however this post will not go into them; however, the grounds that MGM Resort's has protection from an obscure law that applied to the crowd management firm on duty to the event, having broader protectionism on a Hotel and it’s actions days prior to the event is clearly erroneous.